The Best Converter to Merge Multiple M4A Files into One. Nowadays, it is very common that people need to merge multiple audios to one for different purposes. Luckily,I’m about to merge M4A audio files for some post-editing work. If you are annoying about that, follow us and find some ways to solve it. Firstly, let's free download the converter to merge M4A files. Can I Merge Multiple .m4a Files into One? Q: How to combine .m4a files? I have 20-disc audio book that I am importing into iTunes. Is there a way to combine these 20 .m4a files into 1 .m4a file like an audio book with only one track? A: Combining several audio tracks to a single file is a usual need in our daily life. Now, I will provide three extremely useful ways for those who are getting gray hair from this. For solving how to merge M4A files, WonderFox HD Video Converter Factory Pro is the best and perfect M4A merger that I highly recommended, which can give you a wonderful way to merge M4A audio files. Let’s have a try! Obviously, our first reaction is using a M4A joiner. 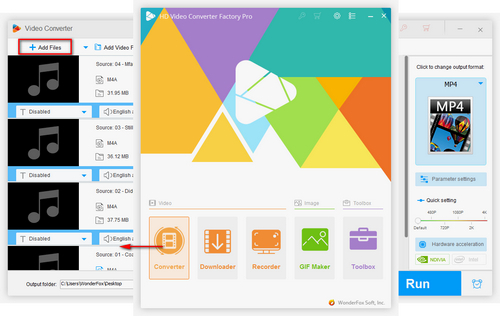 WonderFox HD Video Converter Factory Pro is the best choice for you. Besides, the tool can help you to combine songs into one track. 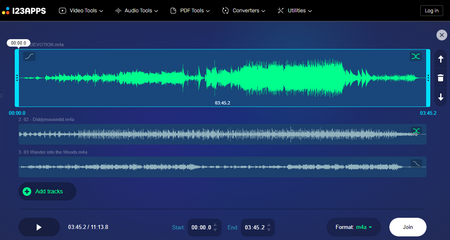 Of course, you can convert M4A to other audio formats like M4A convert to WAV, or convert M4A to FLAC. 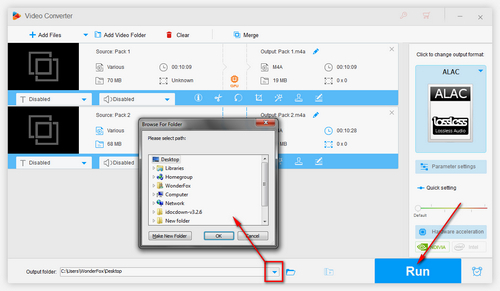 Then, we will show you how to combine M4A files within 5 steps. Before the detailed guide, you should make sure that you have already downloaded and installed the software on your Windows computer. 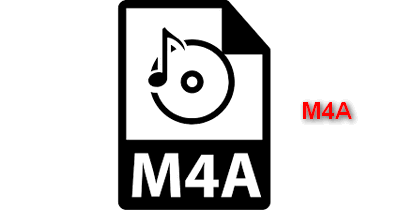 Open the program, adding M4A files which you want to combine songs into one track. You can drag them in the interface or click “Add Files” button. 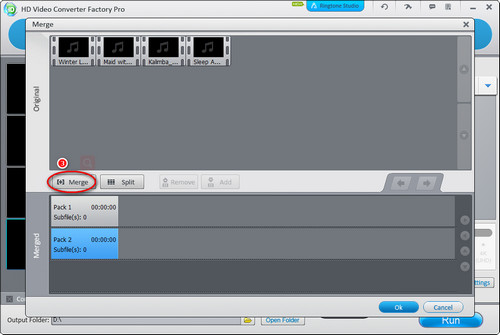 Choosing the output format, click “Audio” button to select M4A. Besides, because the M4A filename extension can contain both of the lossy Advanced Audio Coding (AAC) and its own Apple Lossless (ALAC) formats. You should choose format on the basis of your source M4A file. For example, the source file is lossy AAC, you need to select M4A. The source file is lossless ALAC, you are supposed to select ALAC for lossless conversion. Then click “Merge” button on the bottom of the software. You just need to click on the “Merge” button in the middle to create a pack. If you are going to create two different packs, click “Merge” button again and pack 2 will be appeared automatically. Dragging these files to corresponding packs and doing whatever combination as you want. Please make sure each pack has two M4A files at least. Then click “OK” button. You can set your output folder’s path. Then click “Run” button, your files are going to be merged. How do I Change Several .mp4 Files into One? Happily, we have found another tool called “Magic Audio Merger”. Step 2: Download and install it to get started. Step 3: Drag audio files to the central region, when you have done these options, click “Merge” to start the merging process. Certainly, M4A merger looks like a little bit troublesome. If you do not want to install any software, a website can also help you to merge M4A online. Step 2: Add M4A tracks from your computer. It loads slowly, so you should spend much time waiting for it. Step 3: After loading, you need to click “Join” to finish your goal. Step 4: Download the merged file and play it. We have told you three ways to merge multiple M4A files into one, you can select the way you like. 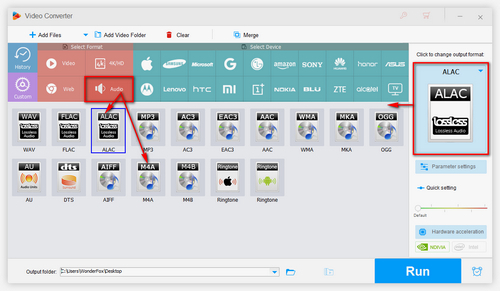 From my perspective, WonderFox HD video Converter Factory Pro is the best M4A combiner for you. It can help you to create multiple packs at once for saving a lot time, which the online solution or “Magic Audio Merger” cannot achieve. Do you want to change the music DVD to M4A? WonderFox DVD Ripper Pro can give you the chance! 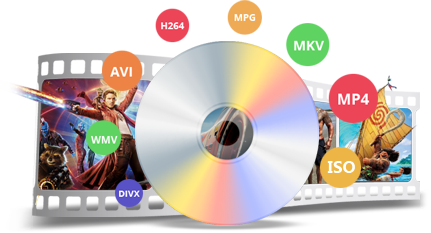 It can copy DVD to digital video or music files, then convert to M4A format. Also, it will achieve DVD to ISO, DVD to DVD Folder. What are you waiting for? Go to download it!